While the first pioneers were mostly of English and Scottish descent, German settlers from Pennsylvania made the Village of Frankfort a reality. in the 1840's Frankfort Township was named by Frederick Cappel after his native city, Frankfurt-Am-Main, Germany. In 1855, the Joliet and Northern Indiana Railroad built a line through the present Village and named it, "Frankfort Station.� After the Village was incorporated, the word "Station" was dropped from the name. Recently ranked 36th in the nation's fastest growing suburbs by Forbes Magazine, Frankfort is thriving. Known as the "Jewel of the South Suburbs." 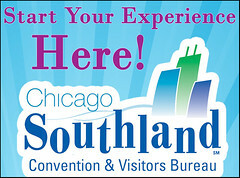 Frankfort has been recognized with the Southland's Reader's Choice award for "Best Community.� Experiencing rapid growth, attracting new residents, commercial and industrial businesses, Frankfort is a premier community with award-winning schools and exceptional residential, commercial and industrial development. In 2014, Frankfort was named by Chicago Magazine as one of the top places to live. In 2016 Frankfort was named one of the top ten communities for Illinois families, and voted among the top 12 safest communities in Illinois. Frankfort is a great place to visit, and an even greater place to call home.